Ever wonder what other people’s rooms look like? Here’s your chance to see! So glad to see you have a since of humor about your pig sty. Your funny. Your video made me smile. 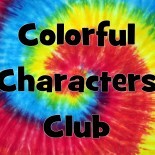 This entry was posted on February 20, 2014 by colorfulcharactersclub and tagged family, fun, funny, home, kid, kids, teen, teens, Tween, tweens.